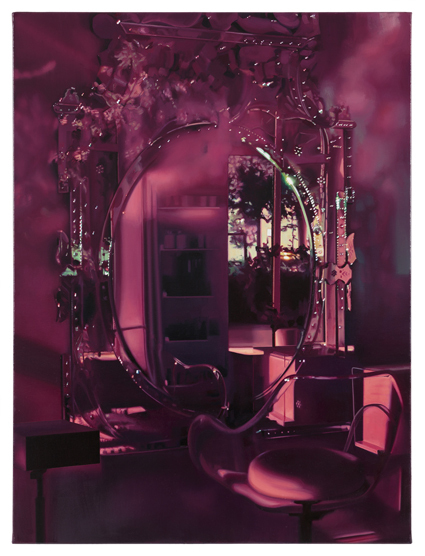 We have the great pleasure to present Pauliina Pietilä’s first solo exhibition at Galleri Flach. 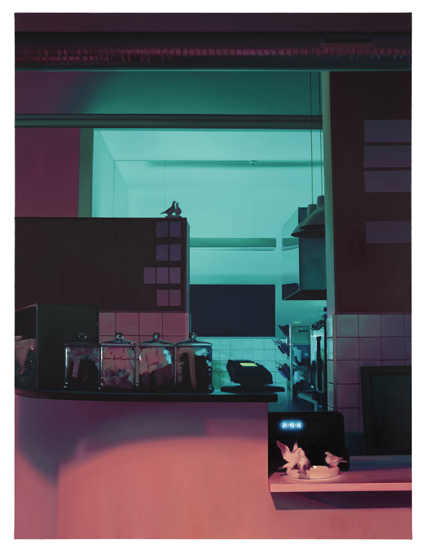 It contains six new paintings, all based on an overall theme of creating a suggestive atmosphere trough a special light. 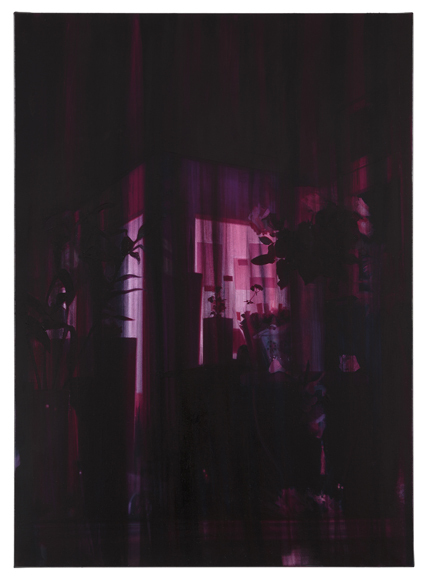 In the paintings of Pauliina Pietilä, the light from shop interiors, residential houses and various sources in urban environments that emerge at dusk or at night, has always played an important role. Even as a child, growing up in Ilmajoki in Finland, where the darkness dominated the surroundings most of the year, she was fascinated by the bright spots in the landscape that became especially prominent travelling by car in the darkness among the area’s scattered villages and small communities. As an adult, light continued to attract the artist to investigate places and environments in her neighborhood and during longer trips. In this series of paintings she explores the urban landscape in her close neighborhood in Malmö. 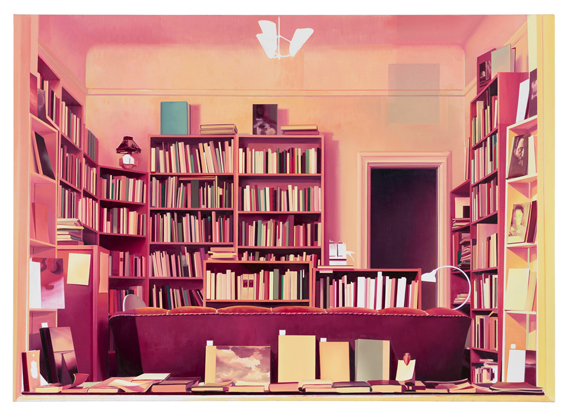 During nightly walks from the studio and her home, she has been captured by different storefronts and interiors, places and details, lured by a particular light or atmosphere. She describes these places and situations as a kind of portraits of people in different moods. There are no people portrayed in the paintings but there is still a strong human presence through the perspective of the gaze, which is looking and is attracted by both artificial and organic qualities in the environment. 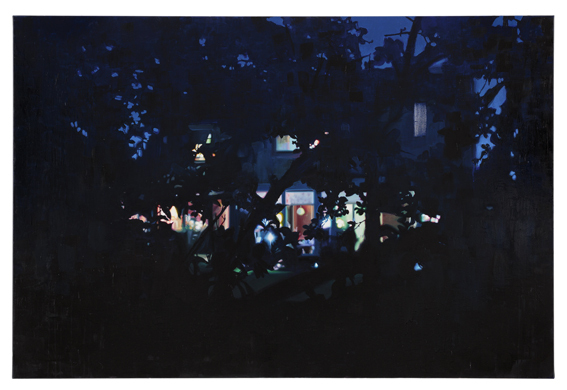 In a painting like ”The House ”, the beholder seems protected by darkness and bushes and has the possibility to secretly gaze at a shining and cozy residential house. The intimacy and warmth from the indoor lights are contrasted by the outside pitch-dark shadows. But the paintings are also about sensuality and mystery. Pauliina Pietilä cleverly uses both these qualities in her paintings to create a dreamy atmosphere full of details. 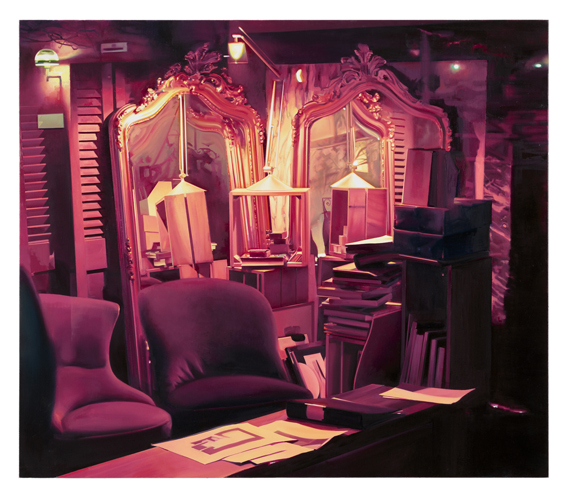 In works like ”Hipster” and ”The Mirror ”, she lets the velvet red light colors sparkle and turn into dark shadows among beautiful 1920’s interiors, reminiscent of a bygone era. These paintings reveal a strong sense of both melancholy and of romance.